On the day of Purge in totalitarian Quill, which is run by the High Priest Justine, 13-year-olds learn if they are deemed Wanted to attend the university, Necessary to tend the land or Unwanted and purged by execution. 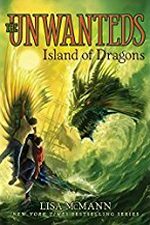 Without a good-bye from his Wanted identical brother Aaron, Alex Stowe and the other Unwanteds travel to the Death Farm. Instead of death, they meet the lush and magical world of Artimè, kept secret from Justine by mage Marcus Today. In a third-person narration characterized by even pacing and whimsical inventions, Alex and his peers learn that their creativity threatened Justine's power. Surrounded by talking blackboards, transporting tubes and such fantastical creatures as an octagator (with the head of an alligator and body of an octopus) for instructors, the teens hone their drawing, music and acting skills while also wielding paintbrushes for invisibility spells and iambic pentameter to stun attackers during Magical Warrior Training, in preparation for battle against the Quillitary. As the youths explore fear, responsibility and free thinking, their spells may be used sooner than they think when Alex's twin bond is tested and rivals vie for Aaron's new position in Justine's government. Published by the Alladin imprint of Simon & Schuster in hardcover and paperback editions as well as other formats. It's hard for Alex to leave behind his twin, Aaron, a Wanted, but he makes peace with his fate-until he discovers that instead of a "death farm," what awaits him is a magical place called Artimé. There, Alex and his fellow Unwanteds are encouraged to cultivate their creative abilities and use them magically. Everything Alex has ever known changes before his eyes, and it's a wondrous transformation. In Artimé, Alex Stowe and his friends continue to hone their artistic magical spells while welcoming newcomers, wondering how long this peace between Quill and Artimé will last. Alex is stunned when Mr. Today comes to him with a very special request-one Alex questions his readiness for, until circumstances offer a dramatic answer. 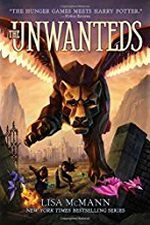 The fate of Artimé is at stake-and an unlikely alliance could redeem it-in book three in the New York Times bestselling Unwanteds series. Overwhelmed and feeling totally helpless, Alex knows it's up to him to find a way to restore Artimé, rescue his captive friends, and free Megan from her voice-stealing necklace of thorns-three impossible tasks. But could help lie with the silent, orange-eyed newcomers? When hundreds of lights appear across the sea during Artimé's first annual masquerade ball, the party is over. 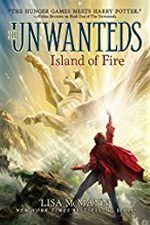 Artimé is under attack, and Alex, the magical world's young mage, must prove he can handle his newfound leadership. Alex receives no help from Aaron, his scheming twin brother. 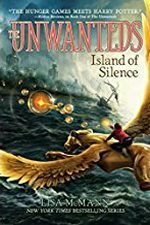 Instead of rallying Quill to help defend their island, Aaron disappears and happens upon a dangerous secret hidden in the jungle-one with the potential to give him the power he desperately desires. 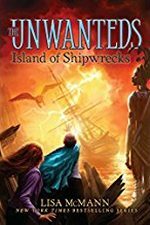 Even in the midst of battle Alex hasn't forgotten his promise to rescue his new friend Sky's mother from the volatile Pirates Island, a rocky volcano that randomly spits fire and sinks beneath the ocean's surface with little warning. Once the rescue team is on the way, friendships are tested and the stakes are high. 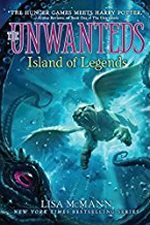 Ultimately the team discovers there are more creatures than they ever imagined in the waters surrounding their island chain-and not all of them are friendly. Alex and his friends from Artimé are stranded on a newly discovered island after barely surviving a storm that destroys their ship. And it turns out they're not alone. Back in Quill, Aaron's power base grows as he aligns himself with an unlikely ally. Together, the two enact a drastic, risky plan to finally conquer Artimé-a plan that could ultimately leave everyone in both Artimé and Quill in far more danger than Aaron realizes. In Artimé, Alex chooses his people over his brother and abandons his search for Aaron, closing the door on that relationship forever. The Artimeans need his focus now more than ever as they face the terrifying power of a new enemy who has taken control of Quill-the notoriously evil Gondoleery Rattrapp. Twins Alex and Aaron Stowe are put to the ultimate test to fulfill their destinies and save both Quill and Artimé from the deadliest enemy the cities have ever faced in the thrilling conclusion to the New York Times bestselling Unwanteds series, which Kirkus Reviews called "The Hunger Games meets Harry Potter." Head mage Alexander Stowe and his friends successfully fended off the latest threat to their magical world of Artimé with the help of a surprise ally. United at last, they're exploring exciting new territory. But old enemies have secretly been plotting against them, and danger strikes when they're most vulnerable. 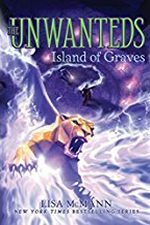 Ten years after Alex and Aaron Stowe brought peace to Quill and Artimé, their younger twin sisters journey beyond the islands in this first novel of a new sequel series to The Unwanteds, which Kirkus Reviews called "The Hunger Games meets Harry Potter." 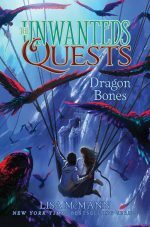 Seeking a chance to right their wrong and escape their brother's wrath, Thisbe, Fifer, and their friend Seth sneak away to rescue the dragons from grave peril. 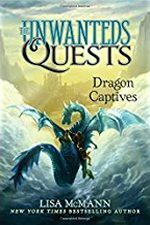 Will their untrained abilities be enough to save the dragons-and themselves-when they come face-to-face with the Revinir? Ten years after Alex and Aaron Stowe brought peace to Quill and Artimé, their younger twin sisters journey beyond Artimé in the second novel in the New York Times bestselling sequel series to The Unwanteds, which Kirkus Reviews called "The Hunger Games meets Harry Potter." After years of peace, the recent daring adventure of twins Thisbe and Fifer Stowe have brought about dire consequences. Thisbe has been captured, Fifer is injured, and Sky is lost at sea. The twins' older brother Alex, head mage of Artimé, is paralyzed with fear of losing anyone else he loves. Fifer must convince him to finally trust her to help in the battle ahead now that their true enemy has been revealed.